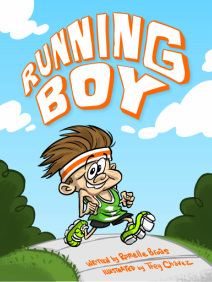 The question that everyone is asking is, “Running Boy, why are you running?” Follow Ned, Anna, Tommy, and Peggy on their quest to find the answer as Running Boy takes them on an adventure of self-discovery and fun. Experience the feel, the sights, the sounds, and the smells that Running Boy experiences on his run and you’ll find the answer to the question that everyone is asking. Grr! Rumble! Grumble! This boy's tummy has turned into a monster! Will he ever be able to quiet the beast inside, or will it roar and roar and roar? Read to find out more! 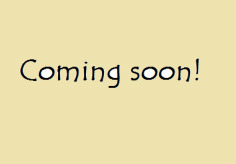 A rhyming eBook by MeeGenius available now in the Apple app store, Google TV, and the Google Chrome Web Store. Have you ever seen a pink chameleon? "When I"m tickled, I turn pink," says Casey. What you don't want to see is Casey turning red! Casey thinks someone has stolen her special feather and she finds herself turning red with anger. Can she manage to find her true colors? An ebook on colors and emotions for your iPhone or iPad on sale now at FlyingBooks. Also available in Spanish & French. How many times have you heard a grown-up say, “Stop making face or your face will stay that way!” Frankie is no exception. Despite warnings from his teacher, Frankie continues to make faces, until his face finally freezes into place. Frankie takes matters into his own hands, but his self-prescribed solutions only makes matters worse.